From a story standpoint, this sounds terrible! I gave up on the Living World Story back at the end of Season 2, when it, too, became a cliffhanger and a commercial for HoT. I was disappointed with all sorts of character and plot inconsistencies, and just couldn't stomach the moral qualms I had with where it was going. However, having loved GW2 at launch, and being a loyal fan of GW1, I keep an ear open in hopes that maybe things turn around. Having never bought HoT (based on principle), I was locked out of experiencing Season 3, so all I can do is read about it. It sounds like it's gotten even worse over time, and all the stuff I disliked from the end of Season 2 (incoherent storytelling, annoying boss fights, frustrating zone density/design) have remained. Thanks for being dedicated to telling it like it is, even if we wished it was better. I should correct my 3 star rating for the map. I've spent most of today doing map completion and getting all the masteries and it's a really good map! Four stars at least. I think that, given your problems with the latter stages of Season 2, you'd be best advised to stay clear of GW2 as it is now. Most of what you didn't like then is still there now and the direction of travel is, if anything, even more strongly in that direction. I loved HoT though. It was waaaaay better than I expected and I have had a huge amount of fun there. I also very much like almost all the open world content that's been added since, and there's been a lot. It's only, really, the instanced LS stuff I'm dubious about and that comprises a tiny, tiny part of the game - basically one day's play every two or three months. We'll see what the expansion is like. My main worry now is that, having had low expectations exceeded last time, this time I'll be expecting too much and be disappointed. 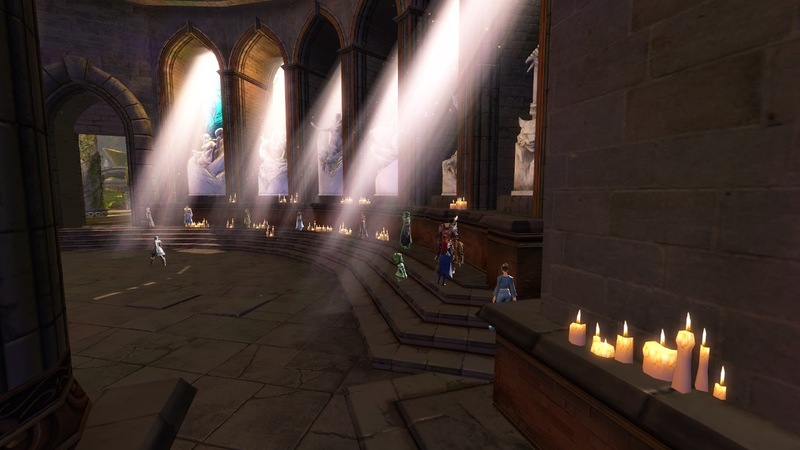 I thought the story in GW1 was fairly weak in Prophecies (Tyria), was quite decent in Factions (Cantha), was outstanding in Nightfall (Elona) and rather well done in the North (GWEN). I also felt that GW2's original storylines were pretty good. Jeff Grubb came to ArenaNet a bit before Factions was released, and left a bit ago. Stories aren't written by companies. They are written by authors. ANet has had a change of the guard, writing wise, for a while now. 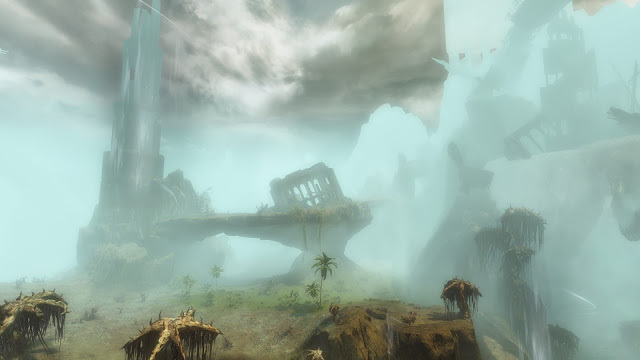 I'm thinking of playing through GW1's "Nightfall" expansion before the GW2 expansion, seeing as the setting is supposedly the same and I imagine they will draw heavily on the lore. 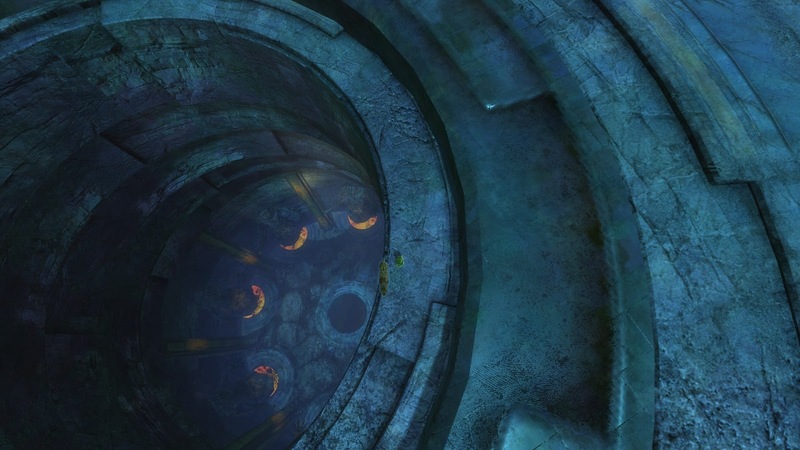 Knowing GW1 lore inside out appears to be a pre-requisite for following the plot these days. I mentioned in a comment somewhere recently that EQ2, over nearly a decade and a half, has been incredibly consistent in the tone and style of its quest writing. I don't imagine for a moment the same people have been writing all of them all that time but for a player it feels as though they have. it can be done if the company has a sufficiently strong style guide and decides that consistency is a core value. I have been getting tired of GW2 lately, and this update is largely "more of the same," which granted, is a huge improvement over "made it worse" or "broke something that didn't need fixing." To have such low expectations though is terrible for a game I once loved. The story is amateurish, the writing clumsy - though the voice acting of a key character made it pleasantly bearable to a GW1 player, I have to admit there was no relation or connection to my GW2 -character- whatsoever. The fights/puzzles were interesting, though I completely bumbled my way through the first puzzle and only figured out the mechanics when it came back during the boss fight and refused to let me go further until I grokked it. However, I'm just generally not pleased at how close they are cutting the timing/reaction on some of the dodge-this or pick-this-up-and-throw-it mechanics, what is easy-mildly-challenging to an NA player on 70 ping or less becomes what-the-hell-each-of-my-button-presses-takes-a-quarter-of-a-second-back-and-forth-time-you-know to an oceanic/SEA player on 250-300ms ping. I'm half dreading exploring the new fractal. The fractal community is more toxic than the old dungeon community - Reddit already reports people demanding "exp" groups on day 2. Which is both offputting in its expessed elitism and actual moronity, where one is likely to find that the "elitist" the worst player hoping for a carry altogether. It makes me wonder why I even bother to try and play this sort of multiplayer content and generally turns me off MMOs even further. Especially when I could get a Paladins game (still full of morons) in under 2 minutes and only have to put up with them for a brief match of less than 10 minutes, or play a singleplayer game where I am the only moron that bothers absolutely no one. Well. I suppose the new map is okay. That's pretty high praise these days, right? I've already seen complaints that the last boss of the new fractal is tuned to Raid level or above. ANet seem absolutely set on producing very high end "Elite" content now. I think they are in the old WoW/EQ mindset, where it's intended that only 1% of the playerbase actually does the content so long as that 1% swaggers around in front of the bank in the shiny armor they get from doing it so the other 99% keep paying their subs in the hope they might one day be able to do the same. Meanwhile the 99% actually plays the derp content in open world maps. Which, fortunately, remains available and entertaining. Oh, and did you see that the supposedly fluff collectable cats are now "locked" behind a Level 100 fractal? That's nice. As I posted this morning, it is what it is. Take it or leave it. I'm still taking it for now (pun entirely intended). If either Pantheon or Ashes of Creation turn out to be even half-way decent, though, that will be it, I think.